How to create a new Currency in J2store? How to create a new currency? When you use J2store, it allows you to sell products and services in as many currencies as you want. The exchange rate of currency can be set manually or fetching in real time from Google Financial API by J2store. ( Go to Store configuration, then set the “Auto-update currency” to “Yes”). The code of currency is needed to be selected from the available list. And this list will not allow adding new code from users choice. A global used single figure to refer to currency. According to the symbol, the US Dollar will be denoted by $ by default, although many countries use this symbol for their currencies. The place of the symbol will be set on any side of currency name, which based on requirements of the country that owns the currency. For example, symbol $ will be always prefixed before name of the currency: $600.00 and some other currencies might be suffixed after name of the currency. A period or “.” is to separate decimal across the globe. In some countries, they may use “,”. Based on the separator, the price typed in the product page will be used to check out and payment. We use “,” as the thousands separator. It will be referred for the payment. We use this option to set the default currency. 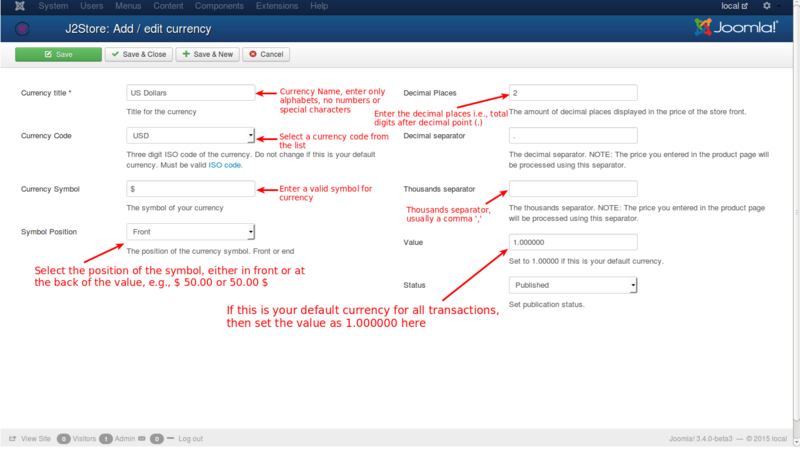 If you set the value is 1.000000 as a particular currency, it will be the default currency. Other currencies will connect with it. For example, if you set US $ as 1 in value, it will be the default currency, then the value of Euro will be 0.81. J2store will figure product prices based on currency transitions. 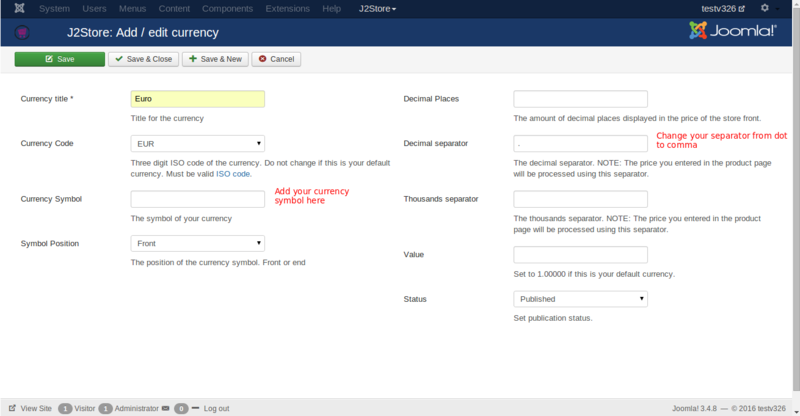 You can set the publication status of currency with this option. If you set it as Published, it will be viewable in the payment process. Or if it’ not, it won’t be shown for payments. The decimal separator should be “.”. When you go to the currency settings screen, you can change the option of format. 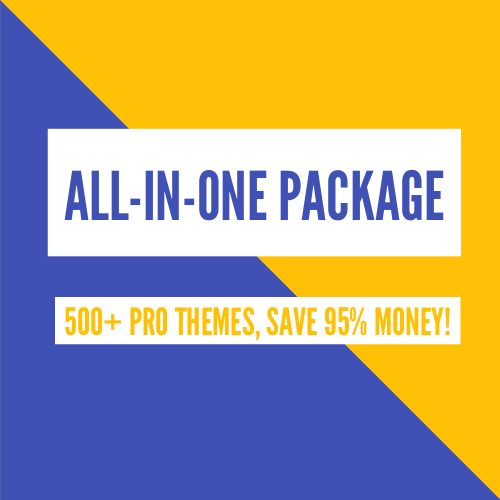 Price will be shown automatically with “,”.